"Turkey the Open Door for Radical Islam!" Hitler revealed in Mein Kampf that he intended to commit genocide on the Jews of Germany… he communicated his true intentions, even if only those who knew how to listen to disturbed personalities believed him at the time, so too, the mad Mullah’s who ruled Iran have been clearly telling the world that they intend to use their missiles, and when they have them their nuclear weapons. Putin’s Russia has shown itself willing to facilitate Iranian nuclear ambitions… especially in light of the Mullah’s stating their willingness to "share" their nuclear technology with other Islamic countries, the treat from Iran and its activities must be viewed as a ticking time bomb – and perhaps a mortal danger. The Iranians see themselves as being at the forefront of the battle against the "heretics" … they believe in their connection to Allah that salvation will come only when the war of Gog and Magog begins – and now is the time for it! At the apocalyptic end of days, mainstream Muslim’s envision that a great armed "Jihad" will result in the submission of the entire world to Islam! In this article we exam Turkey’s role with Iran as we see the "alliance" of nations rising to make war against Israel as prophesised in Ezekiel 38. The nations of the world are pushing against Israel because when they see Israel they see their own judgment. Jerusalem is the crown jewel of God, and the world hates Jerusalem for it reminds them of their eternal destination. The world today hates the Jew and Israel …because without Israel, there is no incarnation of God, no salvation, no hope. 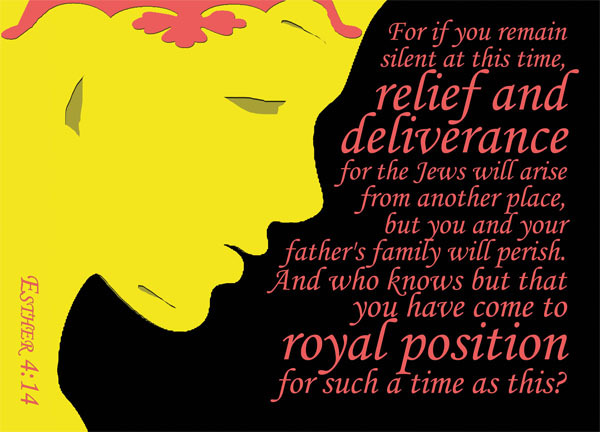 God called a people to bring the line of Yeshua (Jesus) in human form and for that very reason …salvation! All news items today must be seen through the eyes of God… A great spiritual battle is before us and it is intensifying! The events of Gog/Magog, the great deception, and the events of the Last Days are not only before us …but you can see the pieces coming together each day. The world is readying its forces against Israel …because Satan knows his time is short and is pushing Iran to finish their nuclear program, deceiving the West to turn against Israel in their time of need … and to ready the forces of the North and South to push against God's people. The unimaginable can happen again not only to the USA like on 9/11 but also to other nations and especially Israel… but this time however the casualties could well exceed 3,000. In the chapters of Ezekiel 38 and 39 the prophet reveals that a huge military coalition from the north will one day launch an invasion into Israel and we believe that we are living in these days preceding. The Middle East region is the future literal focus of the events in the book of Revelation… And, it is no coincidence that the beginning of John's visions in the Book of Revelation focuses on the western shores of Turkey… the Biblical land of Asia Minor where the seven churches of Revelation are located as well as the source of the Euphrates River. All of the seven churches of Revelation chapters 1-3 are situated along the western edge of Turkey and the Aegean Sea between Greece and Turkey is a geopolitical dividing line between the so called lands of Christianity to the west and the lands of Islam to the east. The Apostle John was on an island named Patmos (currently a Greek controlled island), situated in the Aegean Sea just west of the Asia Minor mainland, when he saw his vision. Daniel’s visions (chapters 7 and 8) are complement visions to the visions of John’s in the book of Revelation. The global growth of ISLAM… Islam is presently the world’s second largest religion. Christianity is the largest. Muslims constitute about 85% of the populations in 32 countries. In the past 50 years the Muslim population in Western Europe has grown from about 250,000 to nearly 20 million and as we see across Europe today that Muslims are becoming more and more radical and the Muslim population will double by the year 2020 and again in 2035. It is estimated that by that time the majority of young people in Europe will be Muslims. The sad reality is that there are more Muslims than Methodists and Baptists combined in Britain. There was only one mosque in England in 1945. Hundreds of the buildings currently used for mosques were originally churches …sadly, including the same church that sent the well-known William Carey as missionary to India. More than 100 million Muslims now live in India! The number of Islamic mosques in France mushroomed from only one in 1974 to thousands today. Muslims constitute a majority in 45 African and Asian countries. China has 100 million Muslims and more than 180 million Muslims live in Indonesia. Saudi Arabia, Iran and other Muslim countries are currently donating millions of dollars to the furtherance of Islam in America. Muslims argue that the explosive growth of Islam constitutes undeniable proof that Islam is the true religion and they further say after all, how is Islam able to grow so exponentially without “Allah’s’ blessing. 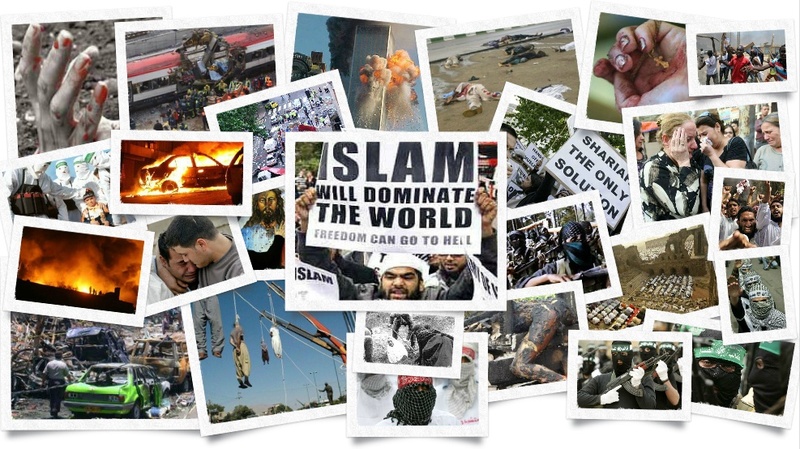 Islam is NOT a religion, nor is it a cult …In its fullest form; it is a complete, total, 100% system of life. 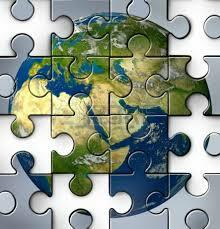 Islam has religious, legal, political, economic, social, and military components. The religious component is a beard for all of the other components. Islamization begins when there are sufficient Muslims in a country to agitate for their religious privileges. When politically correct, tolerant, and culturally diverse societies agree to Muslim demands for their religious privileges, some of the other components tend to creep in as well. Here's how it works: As long as the Muslim population remains around or under 2% in any given country, they will be for the most part be regarded as a “peace-loving minority” and not as a threat to other citizens… This is the case in: United States 0.6% - Australia 1.5% - Canada 1.9% - China 1.8% - Italy 1.5% - Norway 1.8%. At 2% - 5%, Muslims begin to proselytize from other ethnic minorities and disaffected groups, often with major recruiting from the jails and among street gangs… This is happening in: Denmark 2% - Germany 3.7% - United Kingdom 2.7% - Spain 4% - Thailand - 4.6%. From 5% on, Muslims exercise an inordinate influence in proportion to their percentage of the population. For example, they will push for the introduction of “halal” (clean by Islamic standards) food, thereby securing food preparation jobs for Muslims. They will increase pressure on supermarket chains to feature halal on their shelves along with threats for failure to comply. This is occurring in: France 8% - Philippines 5% - Sweden 5% - Switzerland 4.3% - The Netherlands 5.5% - Trinidad & Tobago 5.8%. At this point, they will work to get the ruling government to allow them to rule themselves (within their ghettos) under “Sharia” the Islamic Law. The ultimate goal of Islamists is to establish Sharia law over the entire world! When Muslims approach 10% of the population, they tend to increase lawlessness as a means of “complaint about their conditions.” In Paris, we are already seeing car-burnings. (And recent murders of Charlie Hebdo cartoonists and Jews at the Kosher Deli). Any non-Muslim action offends Islam and results in uprisings and threats, such as in Amsterdam, with opposition to Muhammad cartoons and films about Islam. Such tensions are seen daily, particularly in Muslim sections in: Guyana 10% - India 13.4% - Israel 16% - Kenya 10% - Russia; 15%. After reaching 20%, nations can expect hair-trigger rioting, jihad militia formations, sporadic killings, and the burnings of Christian churches and Jewish synagogues, such as in: Ethiopia 32.8%. At 40%, nations experience widespread massacres, chronic terror attacks, and ongoing militia warfare, such as in: Bosnia 40% - Chad 53.1% - Lebanon 59.7%. From 60%, nations experience unfettered persecution of non-believers of all other religions (including non-conforming Muslims)… sporadic ethnic cleansing (genocide), use of Sharia Law as a weapon, and Jizya, the tax placed on infidels, such as in: Albania 70% - Malaysia 60.4% - Qatar 77.5% - Sudan 70%. After 80%, expect daily intimidation and violent jihad, some State-run ethnic cleansing, and even some genocide as these nations drive out the infidels, and move toward 100% Muslim… such as has been experienced and in some ways is on-going in: Bangladesh 83% - Egypt 90% - Gaza 98.7% - Indonesia 86.1% - Iran 98% - Iraq 97% - Jordan 92% - Morocco 98.7% - Pakistan 97% - Palestinian territories 99% - Syria 90% - Tajikistan 90% - Turkey 99.8% - United Arab Emirates 96%. At 100% will usher in the peace of “Dar-al-Salaam” - the Islamic House of Peace. Here there's supposed to be peace, because everybody is a Muslim, the Madrassas are the only schools, and the Koran is the only “Word”, such as in: Afghanistan 100% - Saudi Arabia 100% - Somalia 100%. Unfortunately, peace is NEVER achieved, as in these 100% states the most radical Muslims intimidate and spew hatred, and satisfy their blood lust by killing less radical Muslims, for a variety of reasons. It is important to understand that in some countries, with well under 100% Muslim populations… such as France, the minority Muslim populations live in ghettos, within which they are 100% Muslim, and within which they live by Sharia Law. The national police do not even enter these ghettos. There are no national courts, nor schools, nor non-Muslim religious facilities. In such situations, Muslims do not integrate into the community at large. The children attend Madrassas. They learn only the Koran. To even associate with an infidel is a crime punishable with death. Therefore, in some areas of certain nations, Muslim Imams and extremists exercise more power than the national average would indicate. Can a good Muslim be a good American…? Theologically…? NO! Because his allegiance is to Allah. Religiously…? NO! Because, no other religion is accepted by Allah except Islam (Koran, 2:256). Scripturally…? NO! Because, his allegiance is to the five Pillars of Islam and the Koran. Geographically…? NO! Because, his allegiance is to Mecca, to which he turns in prayer five times a day. Socially…? NO! Because, his allegiance to Islam forbids him to make friends with Christians or Jews. Politically…? NO! Because, he must submit to the mullahs (spiritual leaders), who teach annihilation of Israel and destruction of America, the great Satan. Domestically…? NO! Because, he is instructed to marry four women and beat and scourge his wife when she disobeys him (Koran 4:34). Intellectually…? NO! Because, he cannot accept the American Constitution since it is based on Biblical principles and he believes the Bible to be corrupt. Philosophically…? NO! Because, Islam, Muhammad, and the Koran do not allow freedom of religion and expression. "When Israel and the Middle East sneezes, the rest of the world - especially America and Western Europe - may get the flu!" observed an Israeli journalist. Indeed, conflicts in the Middle East are often keenly felt in the USA and the reverse is also true. One way or another, Israel and the Middle East seems to remain an ongoing focus of world conflict! Turkey is known as the "Cemetery of the Church!" The land, history and peoples of Asia Minor remain to this day as extraordinary witnesses to the deep scars, challenges, and sufferings of the Church throughout the ages. Outside of Israel, it is hard to find another place in the world where so many significant events of the Christian faith have converged. This is the land also known as "the cradle" of the Church. It is where the first missionary church began, hence initiating the Church’s global expansion. It is the home of all seven churches of Revelation. However, this same land that witnessed the extraordinary vitality which pioneered the Church through the early centuries has now become known as "the cemetery of the Church" and unfortunately Christianity has been virtually eradicated today from this soil. Asia Minor (Turkey) is …the home of the Tigris and Euphrates rivers which watered the Garden of Eden… Mount Ararat - where the ark rested… home of Abraham – Haran… Tarsus the birthplace of Paul… of Syrian Antioch… of the first missionary church… of Patmos - where John was exiled… of Galatia (Ankara) (Galatians) and Ephesus (Ephesians)… Bithynia… Iconium… Thrace (Turkey European side)… and Cappadocia… and finally, of the 7 "candlesticks" of Asia Minor. At this point it would be good to remind ourselves that none other than the Lord Himself can "blow out the candlesticks" of the Church BUT we have a responsibility to keep this flame alive! The Lord is the one who… "Will rebuild the ancient ruins," "raise up the devastated areas of old," and "will renew the ruined cities that have been devastated for generations," and "bringing salvation and justice to all peoples," (Isaiah 61:4, 10). Sadly, today we live in a world and see a Church that is ever more obsessed with the eradication of pain from everyday life in favour of its welfare. In contrast, the first churches lived to eradicate evil from the world regardless of sacrifice. Which of these two positions fits better with the purpose and message of the Gospel…? We are NOT called to be silent! Turkey has a long dark history of Christian martyrdom… During the first three centuries of Church history it was the Roman Empire who led waves of persecution against the Christian faith in Asia Minor... followed by the rapid spread of Islam in the 8th Century and by the late 15th and early 16th Centuries the religious setup and map of the Mediterranean world drastically changed. And, under the guise of preventing an uprising in 1915 the Armenians were forced out by the Turks from eastern Turkey and the consequence was that they suffered unprecedented genocide along with their exodus and it is estimated that 1.6 million Armenians died at the hands of the Turks! The Euphrates River runs from Turkey through Syria and Iraq into the Persian Gulf… The nation of Iran lies immediately to the east of Iraq. During the prophesied Day of the Lord, an immense army of 200 million soldiers will move westward across the Euphrates River into the Middle East on their march with their proposed plan to annihilate the nation of Israel. Revelation 9:13-14 describes a world war in which billions of human beings will die, as an army of 200 million drives west across the Euphrates River and destroys one-third of the planet's population! This is why Yeshua (Jesus) told us that unless those days would be shortened, no flesh would be saved alive (Matthew 24:21–22). What world powers are east of the Euphrates…? Look at a map, and you will find nations including Iran, India, China and Russia. Be sure to watch those nations' military developments and their international alliances. Also watch these nations for growing investments in military power, including nuclear weapons! Right now Iran is in the forefront of becoming a rogue nuclear power with the help of the US President Obama, China, Russia and Germany. The Bible is spot on as predicted thousands of years ago we are witnessing the Ezekiel 38/39 alliance forming in our time of history. If we keep our eyes focused on events that are taking place in the Middle East and with Israel at the forefront of this future conflict just on the horizon we will be able to see clearly God’s amazing Word unfolding. History has shown that even while Muslim conflicts against each other may continue, they will NOT hesitate to join forces to fight against Israel as their hatred for Israel and the Jewish people unites them through ISLAM. More than once Iran has threatened to "remove Israel from the face of the earth" and through so-called "peace talks" continues its push toward developing nuclear weapons. Although traditional disputes among Arabs and Muslims will continue …be sure to watch for growing unity of these forces against Israel! The Bible shows that a future "King of the South" will unite several Arab nations, and that this combined force will be seen as a threat by the "King of the North" and will intensify conflict around Jerusalem (Daniel 11:40–45). This will bring about a frightening conflict that will shake our world, but Bible believing Christians will be able to recognize that this is also a sign of Yeshua’ – Jesus Christ’s imminent return. The prophecy of Revelation 16:12 is a coming prophecy with the kings of the East. It is not happening now, but this is a major warning sign that the Euphrates River can be dried up in an instance. There are two theories concerning this prophecy… First one, is that man will shut off the flow of the river to fulfil the prophecy at a later date. The Turkish government recently violating international norms cut off the water supply of the Euphrates River completely. In fact, under the leadership of their Islamist president Tayip Erdogan, Ankara (who has his eyes set on forming and leading a revived Islamic Caliphate) began to gradually reduce pumping water from the Euphrates River in April 2014 and then cut it off completely threatening primarily Syria but also Iraq with a major water crisis. The water level in Lake Assad, has dropped by about six meters, leaving millions of Syrians without drinking water. The other theory is what we believe is that God will literally dry up the river when the 6th vial is poured upon the Euphrates. It makes sense that God shows the world that He is in control and that Yeshua (Jesus) is about to make His appearance onto the end of the world. Biblical warning signs are coming at us at a very fast pace and the birth pangs are slowly increasing and getting stronger with each passing day. Turkey was the first Muslim-majority nation to recognize the State of Israel… This happened in 1949, the year following Israel’s re-establishment as a nation in 1948. Turkey and Israel became allies, and enjoyed mutual alliances with the West. In Ezekiel 38, God is clearly telling us that Turkey will be among the coalition of nations that will attack Israel in the end times. But wait! Wasn’t Turkey the first Muslim-majority nation to recognize the State of Israel…? Yes. Wasn’t Turkey an ally of Israel…? Yes! So what happened…? Simple, the Bible is always proven true. No political winds or national alliances will violate the Word of God. God tells us that we can know he is God because he tells us the history of Israel before it happens. In Isaiah, God actually challenges any other “god” to step up and do the same thing! “Who then is like Me? Let him proclaim it. Let him declare and lay out before Me what has happened since I established My ancient people (the Jewish people), and what is yet to come - yes, let him foretell what will come,” Isaiah 44:7. No other religious book on earth attempts this kind of bold prophecy, much less gets it right 100% of the time. The idea of Turkey attacking Israel was almost laughable for most of the 66 years that Israel has been back in her land … but no more! It’s NOT by change …since nothing happens just by chance …that the relationship an ally of Israel suddenly turned sour since Turkey openly supports the Muslim Brotherhood, Hamas, PA and Islamic Jihad terrorism against Israel by using the “Palestinian cause.” Israel has recently appealed to NATO and demanded it take action against Turkey, after learning it has allowed Hamas to set up operational headquarters in Istanbul. Erdogan of Turkey is so set on Israel that books can be written on this subject alone! We personally were in Turkey before and at the time when Erdogan’s AKP Islamist Party came into power in 2002 and during the seven years that we were there we saw Turkey shift from the Ataturk vision of a free and democratic country towards becoming an Islamist nation with ties to Iran. Erdogan saw himself as reviving a “wounded empire” that had received a deadly wound. This is no small issue. The Ottoman Empire was called “the dead man of Europe” and now it had risen from the dead. 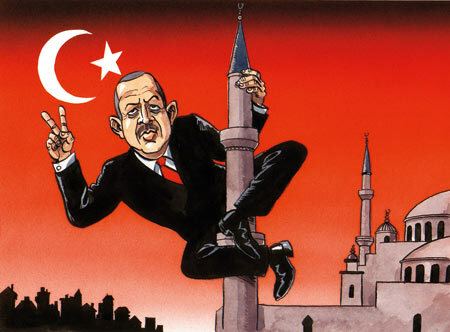 Today, Erdogan of Turkey has emerged as the hero of the Muslim world! When Egypt ousted Morsi and the Muslim Brotherhood in 2013 relationships between Turkey and Egypt also soured as this was not part of Erdogan’s plan! He fully supports Hamas’ and the Muslim Brotherhood’ plan for liberating Jerusalem since any country previous conquered by Islam according to the Koran cannot be allowed to exist and must be re-conquered for Islam by any means. And, Israel the only Democracy in the Middle East is a thorn in their eyes that has to be removed and especially since it is a Jewish State. Turkey has used the Palestinian “victim” cause to further their own Islamic agenda! PALESTINIANS in Gaza and the so-called West Bank not only brazenly show support for ISIS and for the terror attacks in France and elsewhere …but they also act on behalf of the Islamic State jihadists that Turkey allows the free movement to! 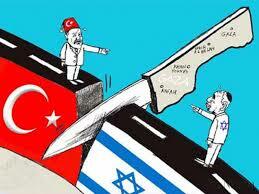 Turkey will fulfil its role in the Ezekiel 38 attack on Israel! Bank on it…! “I will raise up your sons, O Zion, against your sons, O Yavan, Zechariah 9:13. But, who is Yavan? In several Bibles, this name Yavan is translated as “Greece” but Ionia (Yavan) was simply a province of Asia Minor that was located on the western coast of modern Turkey. This is crucial because the clear context of this battle is the return of Christ: “Then Jehovah will appear over them” “and fight on their behalf (Zion), Zechariah 9:14. 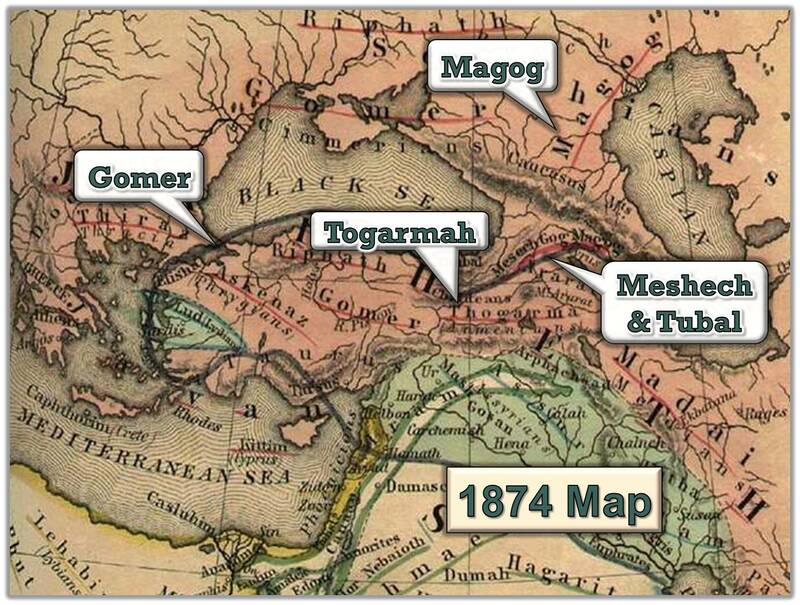 So in the End-Times, at the time when Yeshua (Jesus) returns, the Jews (Zion) will be engaged in a war with Turkey (Yavan): Gomer/ Togarmah/ Meshech and Tubal) who will possibly lead the coalition of nations that will attack Israel. Four of the nations listed in the future Ezekiel 38:16 war are found in modern-day Turkey. Today Turkey has an open door for ISIS/ISIL and radical Islamists… While often overlooked in today’s news, it is clear many who join the Islamic State (ISIS) from Western nations are traveling through Turkey. 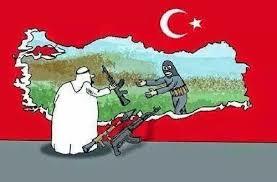 ISIS is willing to accept Turkish support even while seeing the Islamist prime minister and his countrymen as “kafirs” (infidels) who need to be shown true Islam. 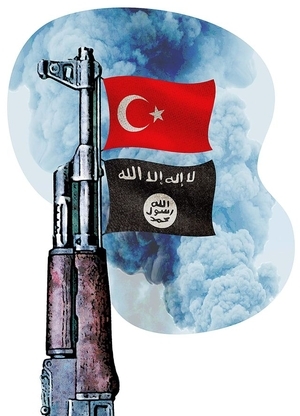 Is there another important reason why the Turkish support the ISIS savages…? Turkey wants to eliminate two Syrian entities; the Assad regime in Damascus and Rojava (the emerging Kurdish state) in the northeast! It is their hope that ISIS Islamic jihadists would ensure a quick fall for the Assad regime in Syria. The Islamic terrorists of ISIS come over from Syria and Iraq to dine on kebab in southern Turkish restaurants. Then, after rounding off their meals with a cup of tea, they head back to where they came from. Observers estimate that there are from 2,500 to 3,000 ISIS members inside Turkey. Yet, the Turkish government says it has no intelligence on its possible sleeping cells …or how it recruits terrorists…or where and how it gets its money…? It also has no detailed information on the organisation's links with other Sunni countries, apart from Qatar…? 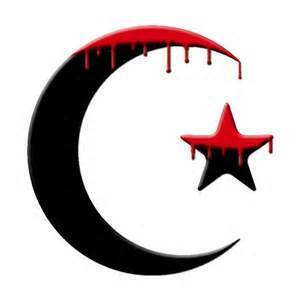 We believe ISIS is supported by the Muslim Brotherhood and all radical Islamist Muslims throughout the world. It’s clear that Erdogan is a member of the Muslim brotherhood and a paranoid. He recently made a call to pogrom against Jews in Turkey. The 17,000 Jews remaining in Turkey are to blame for Israel conduct in Gaza, and were asked to apologize. Ironically, Erdogan today invokes Hitler to describe Israeli conduct! The prophet Ezekiel warned us of a coming war in which Turkey and Iran are allies …and it is quite possible that we are seeing these first steps to such an alliance in the making! Turkey and Iran have had their differences, going back to the period of the Turkish Ottoman Empire, when Iran was known as Persia. Turkey opposed the 1979 Iranian Rrevolution which elevated Ayatollah Khomeini as the Supreme Leader, the highest ranking political and religious leader in Iran. The relationship between the two nations began improving during the Iran-Iraq war since Turkey viewed Iraq, under Sadam Hussein, as a greater threat than Iran. Increased cooperation between the rivals followed the Gulf War, particularly on the Kurdish issue which affected both nations. The Syrian Civil War, a proxy war between Saudi Arabia and Iran, furthered strengthened the ties. Then how does Turkey plan to benefit from the alliance with Iran…? Turkey intends on spreading its form of Sunni Islam as opposed to the more conservative Sunni Wahhabi version of Islam from Saudi Arabia. Although Turkey disagrees with Iran’s support of the Shiite Alawite regime of Assad …the government in Ankara seems willing to put their opposition aside in pursuit of improved relations with Tehran. Iran on the other hand, seeks improved relations with Western nations, something they think Turkey can help them with. Turkey and Iran, despite their divergence over Syria, are helping each other build and in some cases rebuild their influence in the region in the wake what appears to be the crumbling influence of Saudi Arabia among its Arab allies! Therefore Turkey seeks Iran’s help to cultivate influence with the Gulf Arab countries as they decide which Sunni country …Saudi Arabia or Turkey will become the major influence in the region and revive the Ottoman Empire and Islamic Caliphate to control the world and usher in their end-time Mahdi. Perhaps the most striking point when reading the listing of the Ezekiel 38 Magog invasion coalition strike-force upon Israel is the absence of Syria from the alliance membership. This invasion is expressly asserted to be pinpointed towards the mountains of Israel, which probably would include the contested Golan Heights. Syria and Israel have been locked in total disagreement about the possession of this very area ever since the 1973 Yom Kippur War. Russia has traditionally supported Syria’s claims to the Golan’s mountainous region. Yet, Syria is not mentioned by Ezekiel in the Magog scenario? The absence of Syria in this coalition is interesting! Damascus, the capitol city of Syria, is the international headquarters for virtually every Middle East terrorist organization. The absence of Syria from the Magog coalition indicates that the prophesied “Burden of Damascus” (Isaiah 17; Jeremiah 29:23-27) event is a sequence of events that prefigures in time the Magog invasion. It is highly likely, given the present geo-political world situation and the strategies involved in the American-led war on terror against ISIS that Damascus will be devastated or become victim to an international nuclear exchange, as the war on Islamic Radical terror proceeds. And, so too Iran (Persia) has been in the centre of an unseen warfare from ancient times… The prophet Daniel, being highly favoured of God was privileged to have God pull back the curtain of history and time and briefly expose him to the wars that continue in Heaven, and that affect events on the Earth. 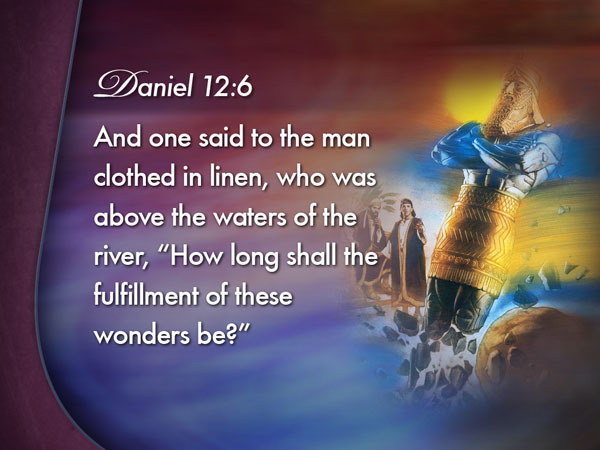 Daniel prayed for Divine insight into the meaning of some prophecies God gave him about the future of his people Israel…Daniel’s vision reveals the fact that there are mighty fallen angels called demons that influence earthly leaders. And under God's permission, they even control them. The true "Prince of Persia" was able to hinder God’s archangel Gabriel. It was only with the help of the archangel Michael that Gabriel was able to subdue his hindrances. Second, the archangel Michael is said to be the special guardian angel of Daniel and the Israeli people. As it is written in Daniel 12:1, “And at that time shall Michael stand up, the great prince which stands for the children of your people: and there shall be a time of trouble, such as never was since there was a nation even to that same time.” This is the Word of God and it is true. Even though God has allowed Israel to be disciplined, their final fate always remains in His hands. God has promised that the nation of Israel will never be destroyed once they return from the worldwide dispersion that began with the Roman holocaust in AD70. And all the powers of darkness cannot change God's promise. Israel was officially reborn May 15, 1948. So even though the modern Persians think they will destroy Israel, God has another surprise in mind for them. We most sincerely believe that God WILL bless you for your faithfulness by standing with Israel, and your love for His land and His chosen people. God’s Word is true! He IS watching to see how the nations are treating His people. God will have mercy on Israel through Gentile believers acting as mediators towards them… This is one of the most amazing revelations ever given to the church – an opportunity to do something that carries the highest priority in the heart of God. Yet… sadly, so few have seen the potential and the rewards of serving God in this manner, as agents of mercy to Israel and the Jewish people! Israel was and still is despised today… and a despisable nation continually turning away from God but nothing ever altered the purpose of God for that nation or the Jewish people.